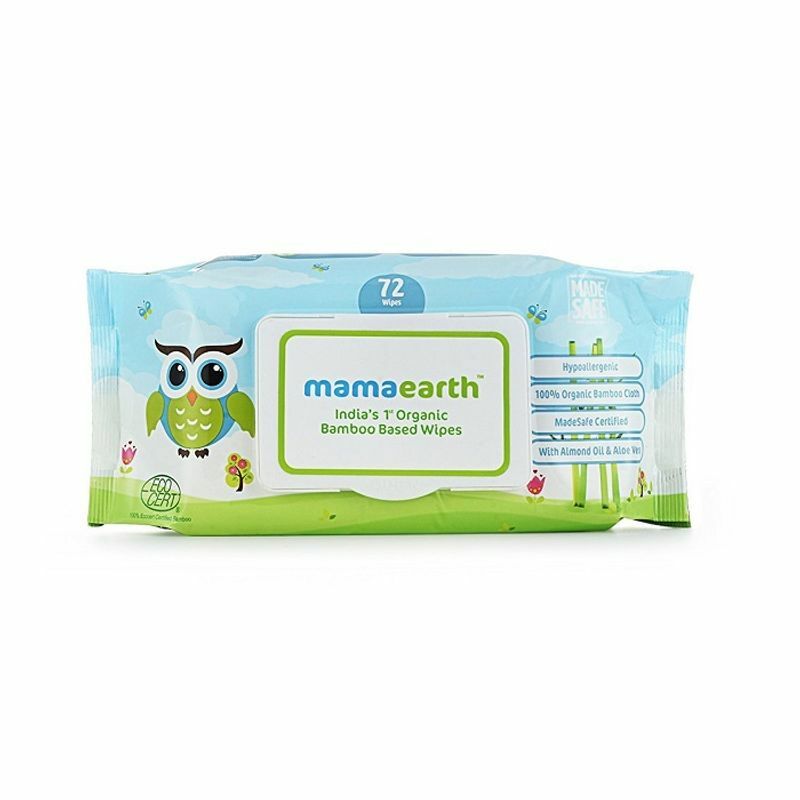 Mamaearth brings to you India's first polyester free unbleached organic bamboo based wipes, certified by Made Safe Organization. Bamboo fiber is more breathable than cotton fiber and is perfect for baby's sensitive skin. You can use these wipes while changing your little one's diapers or to wipe your baby's face after a messy meal. These are absolutely safe and gentle to use for all parts of the baby's delicate skin. 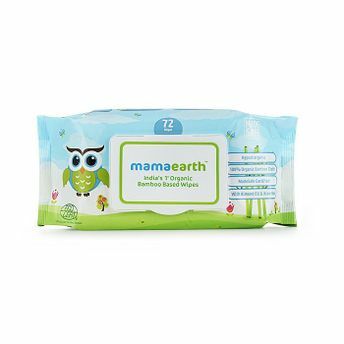 Mamaearth Organic Bamboo Based Baby Wipes are Paediatrician Tested, Hypoallergenic wipes, soft and ideal for sensitive skin. These are made from 100% Organic Bamboo and do not cause any rashes. Enriched With Shea Butter, Almond Oil And Aloe Vera to nourish your baby's skin, these wet wipes are Earth Friendly, Biodegradable Alternative to traditional Polyester Based Wet Wipes. 100% Organic Bamboo: India’s first polyester free unbleached organic bamboo based wipes, certified by Made Safe Organization. Bamboo fibre is more breathable than cotton fibre. Perfect for baby's sensitive skin: 100% Organic Bamboo Wipes are perfect for daily regular use. The gentle blend of Aloe Vera, Shea Butter, Almond Oil and Lavender Oil gently cleanses and soothes baby’s skin. Perfect for cleaning messy hands, face and body. Travel-Friendly: These gentle wipes are easy to carry around when you are travelling with your baby. They have a protective lid that helps lock the freshness and moisture of wipes for longer. No rashes, redness dry and cracked skin: The mild ingredients in these soft baby wipes ensure that there is no irritation with the constant use of these wipes. The wipes are pH balanced, Hypoallergenic and are clinically tested so they wipe away dirt without stripping away natural oils, from the sensitive skin of babies. These are gentle enough to use daily. Certified Toxin-Free: Asia’s first MadeSafe certified brand, No petrochemicals, polyester, bleach, chlorine, dyes, parabens, sulfates, mineral oil, synthetic fragrances etc. Explore the entire range of Cotton Buds, Balls & Wipes available on Nykaa. Shop more Mamaearth products here.You can browse through the complete world of Mamaearth Cotton Buds, Balls & Wipes .